Publisher: Douglas & McIntyre/Vancouver Art Gallery, Vancouver, B.C. 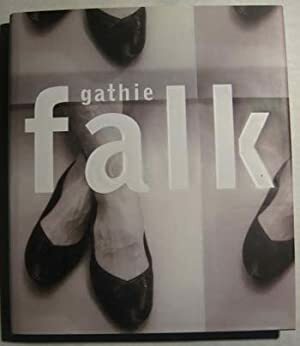 For decades, renowned Canadian artist Gathie Falk has captivated the imagination fo the public. Her art reveals the extraordinary in the ordinary, the magic in the everyday, and the witty/surreal/poignant juxtapositions of the familar objects and sights -- such as apples, shoes, chairs, clothing, gardens, sidewalks, night skies and pieces of water. A wealth of 100 images -- 55 of them in full colour -- ad six essays reveal the significant threads in Falk's career: her ground-brekaing installations, ceramic sculptures and performance art of the 1960s and 1970s, and her acclaimed paintings and sculptures of the past twenty years. Award-winning writer Robin Laurence looks at Falk's life and work in a major biographical essay that is both engaging and enlightening. Bruce Grenville and Ian Thom of the Vancouver Art Gallery, Mayo Graham of the National Gallery of Canada and noted critic Sarah Milroy contribute shorter essays that illuminate significant works. This book was published in partnership with the Vancouver Art Gallery. Robin Laurence is an award-winning freelance writer, critic and curator based in Vancouver. She has a B.F.A. in studio arts and an M.A. in art history, and was educated at the University of Calgary, the University of Victoria, the Banff School of Fine Arts and the Instituto Allende in Mexico. She has written dozens of essays for local and regional galleries, and her articles on art have appeared in many magazines. Laurence was also visual arts critic for the Georgia Strait and the Vancouver Sun. Ian M. Thom is a Senior Curator-Historical at the Vancouver Art Gallery. Involved in Canadian art museums for more than thirty years, he has also held senior curatorial positions at the Art Gallery of Greater Victoria and the McMichael Canadian Art Collection. He has organized more than one hundred exhibitions and written numerous articles and authored or co-authored many books, including Robert Davidson: Eagle of the Dawn, Andy Warhol: Images, Art BC, E.J. Hughes, Takao Tanabe, B.C. Binning, Emily Carr: New Perspectives on a Canadian Icon and Challenging Traditions: Contemporary First Nations Art of the Northwest Coast. He lives in Vancouver, BC. Sarah Milroy, former editor of Canadian Art magazine, is an art critic who has written for journals, magazines and newspapers, including the National Post and the Globe & Mail. She lives in Toronto, Ontario. Mayo Graham is Director of National Outreach and International Relations at the National Gallery of Canada in Ottawa. Bruce Grenville is senior curator at the Vancouver Art Gallery and coordinating curator of this exhibit. He has organized many exhibitions, including Massive Change, a major international show by Bruce Mau Design and the Institute without Boundaries.